CHC held its 2019 Annual General Meeting from March 5 to 7th at the Westin Nova Scotian in Halifax. Our 2019 AGM theme was Growing Our Competitiveness. Roughly 180 delegates and observers joined in Halifax to discuss policy issues and to hear presentations from a number of government and industry representatives. 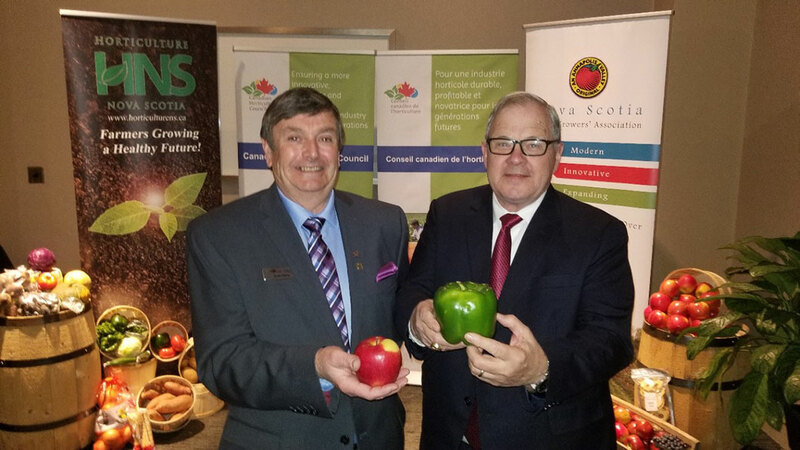 The Honourable Lawrence MacAulay, Minister of Veterans Affairs and Associate Minister of National Defence, was on hand at the AGM on behalf of Marie-Claude Bibeau, Minister of Agriculture and Agri-Food, to announce a federal investment of up to $11.5 million to the Horticulture Cluster under the Canadian Agricultural Partnership. The cluster, led by CHC, will include an additional $6.5 million in contributions from industry, for a total investment of $18 million. 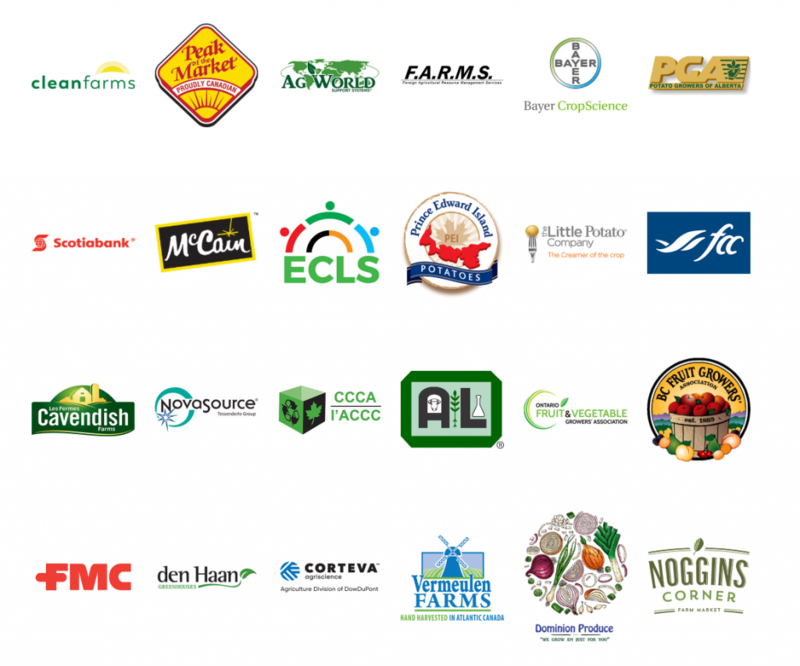 This important funding allows us to broaden the scope of research for many different fruits and vegetables and address key issues, such as pest management tools, labour, production costs, and variety evaluation. See the government of Canada’s announcement here. Brian Gilroy returned for a second term as CHC President, with Jan VanderHout (Ontario) and Stéphanie Levasseur (Quebec) as First Vice President and Second Vice President, respectively. The CHC Doug Connery Award was created in 2012 in honour of the late Doug Connery, a past president and driving force behind CHC. The award recognizes special individuals who, in the course of their association with CHC and Canadian horticulture, have demonstrated exceptional leadership, passion, and dedication, and who have made outstanding contributions to the industry at the local, provincial and national levels. CHC honoured Murray Porteous as the 2019 recipient. Murray farms in Norfolk County. He has a passion for horticulture in Ontario and in Canada and has served farmers in many capacities over the years. He has been a strong advocate for the Seasonal Agricultural Worker Program (SAWP) and has always worked with integrity and at the highest levels of government to affect positive outcomes for both the farmers and the farm workers who come to Canada. Many speakers from industry and government shared their views and knowledge throughout the AGM either on location or by phone. In recognition of their efforts, and in lieu of speaker fees, CHC has made a donation to Feed Nova Scotia.